In the years prior to the construction of the commercial building that is located at 122 East 22nd Street, the land on which it was built was the back yard of a single-family residence that sat on the northwest corner of East 22nd Street and North Talbott Avenue, facing Talbott. The home was built about 1891 by Howard H. French. He was a travel agent with Severin, Ostermeyer & Company. After French’s death in 1894 — at the relatively young age of 42 — Howard’s widow, Isabella (Smith) French, continued to live in the home for a number of years. Interestingly, her occupation was listed as restaurant, although it’s not clear as to whether she owned it or worked in it. 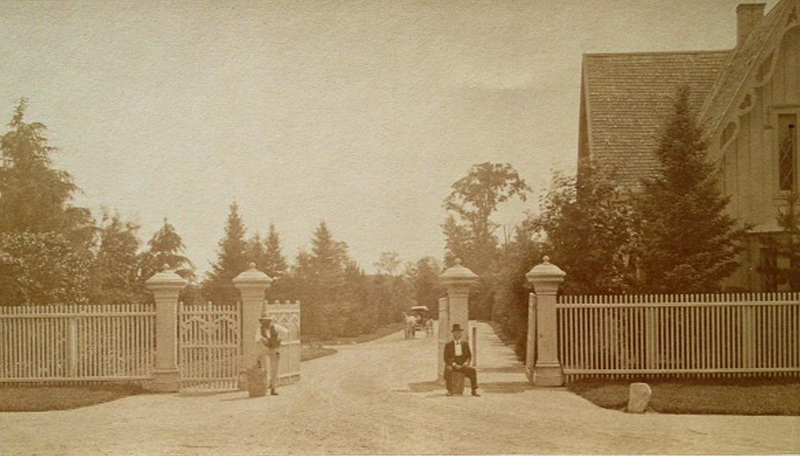 Prior to 1900, the address of the French residence was known as 352 Talbott Avenue. After renumbering occurred in the late 1890s, the address became 2202 North Talbott Avenue. 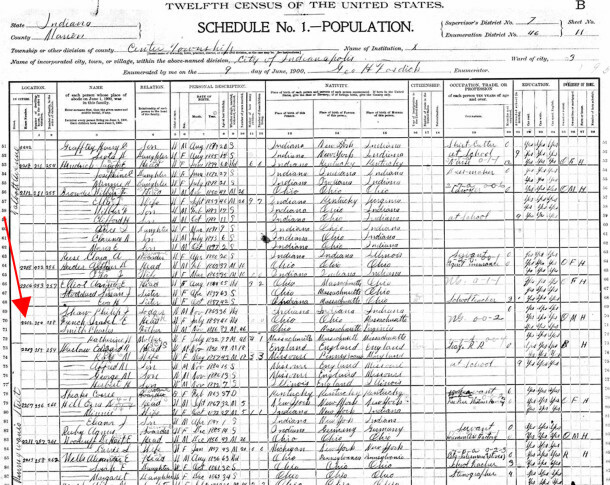 Today, that portion of Talbott is called “Street,” rather than “Avenue.” At the time of the 1900 Census, Isabella French’s parents also resided at 2202 Talbott Avenue with their widowed daughter. The first city directory in which there was a listing for a commercial establishment at that location was in 1910, which would suggest that the building was erected late in 1909 or early in 1910. Crescent Pharmacy was the first business to occupy the new building. 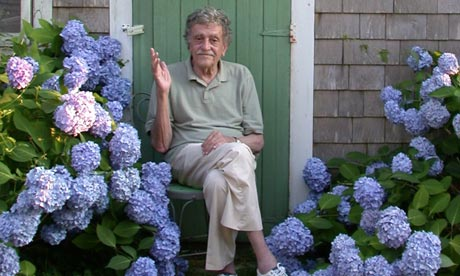 The President was Simon L. Kiser, who resided nearby at 2257 North New Jersey Street. Above the drugstore were two rental units, which were called the Hene Apartments. No names were listed for the apartments in the 1910 city directory, but in the 1911 directory, the tenants were David H. Lockart and Karl D. Etter. The drugstore operated under the Crescent name for more than thirty years, although the owners and managers of Crescent Pharmacy changed from time to time. In the 1920 city directory, Crescent Phamacy was operated by Charles W. Martin. In addition, O. S. Jaquith, M.D., and Harry D. Cofield, D.D.S., had offices in the building. The Hene Apartments above them were occupied by Richard D. Evans and William A. Rhynearson. 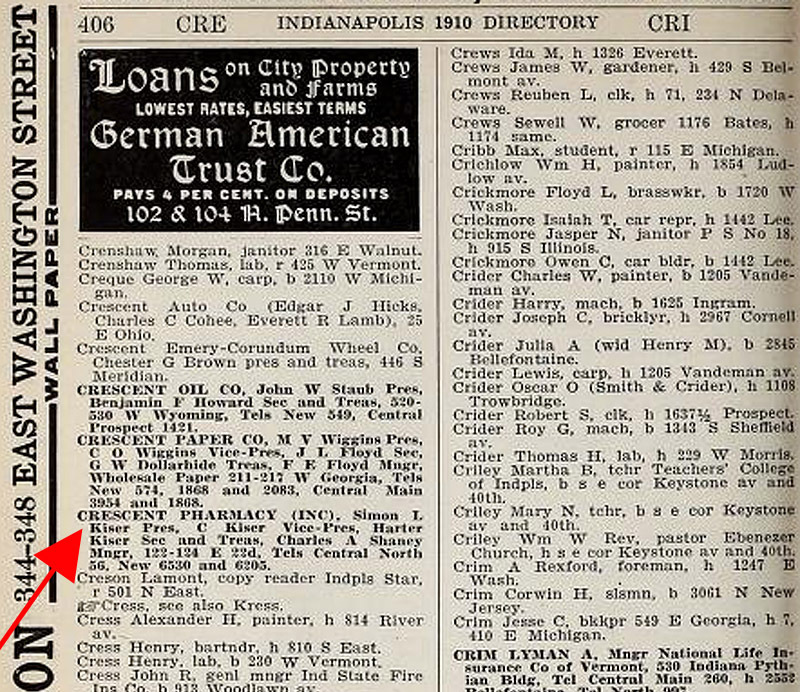 In the 1926 city directory, the president of Crescent Pharmacy was George Sintz. Also occupying the building were physician William Wise and dentist Lant R. Clark. In the 1930 directory, all of the businesses on the main floor remained the same as they had been in 1926, but the Hene Apartments upstairs had different tenants. They were named Mayme M. Hebert and Joseph E. Everson. By 1939, George Sintz must have expanded Crescent Pharmacy to occupy the entire first floor of the structure, as there was no longer a doctor’s office or dentist’s office in the building. The Hene Apartments were occupied by Thomas J. and Alma Kafoure and Raymond J. and Marjorie Kafoure. 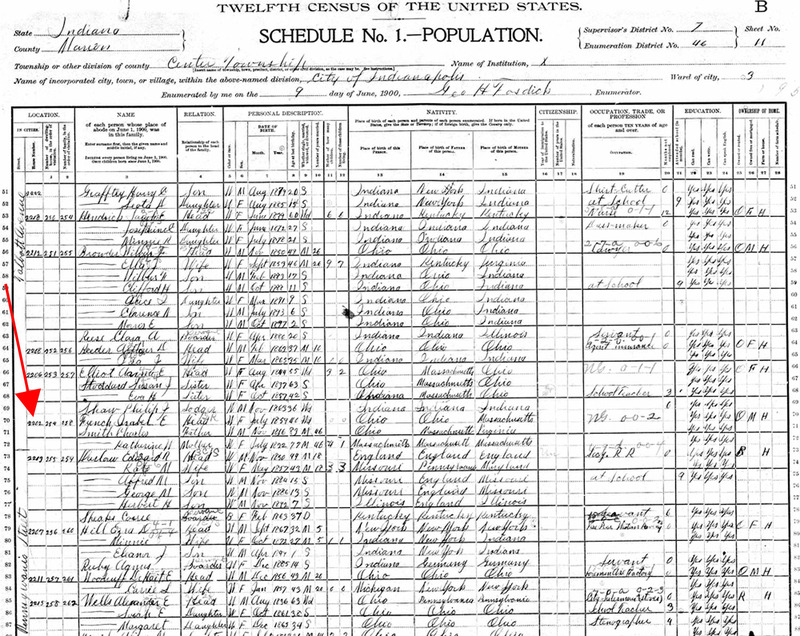 The Kafoure men were first cousins whose fathers had come to the United States from Syria in 1889. According to 1940 Census enumeration details, the couples each paid $40 a month in rent. 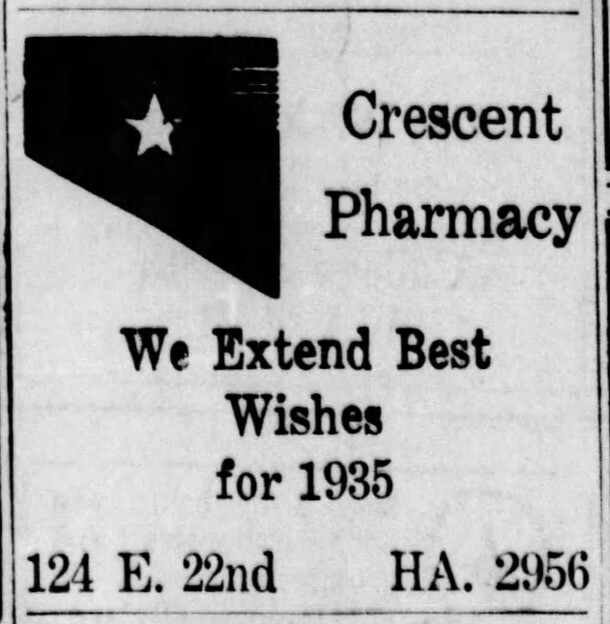 In 1940, Norbert Franz became the manager of Crescent Pharmacy. Beginning with the 1942 city directory, the store was listed as being one of the many Haag Drug Company locations around town, with Franz continuing as its manager. 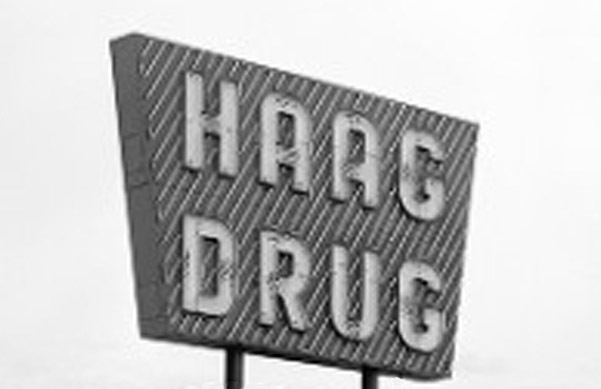 Haag Drug had been founded in Indianapolis in 1876 by brothers Louis and Julius Haag. 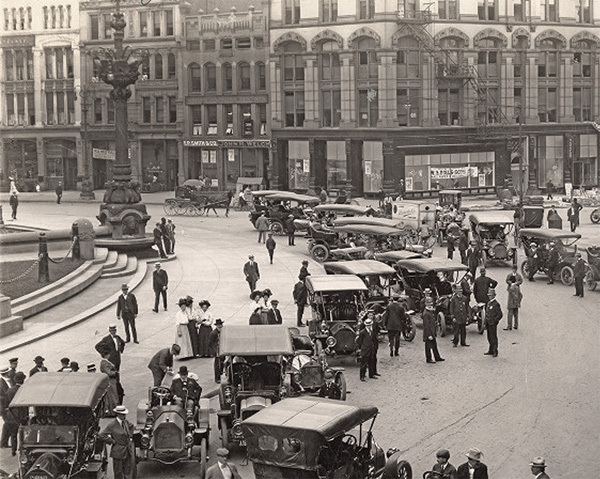 The chain acquired existing stores, as well as built new ones, over more than a century of operation. 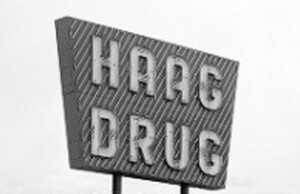 Haag Drug was bought by Peoples Drug in the 1980s, which then became part of CVS in the 1990s. 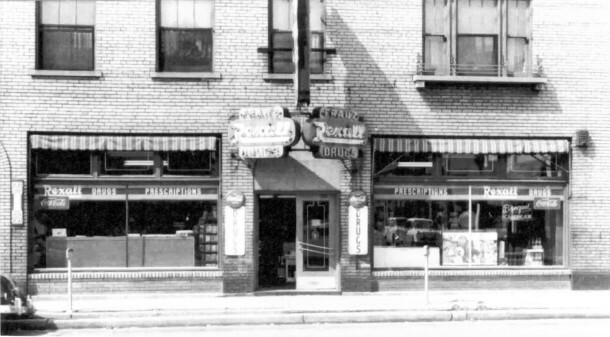 In 1949 or 1950, Norbert Franz bought the store from the Haag Drug Company, and it became Franz Rexall Drugs. Franz, whose father Charles had also been a pharmachist before him, was the proprietor for nearly two decades. The Franz Drug Store closed in 1968, and many of the furnishings were liquidated. For a couple of years in the early 1970s, the building was the site of the Twenty-Second Street Recreation Center, which was a euphemism for a pool hall. 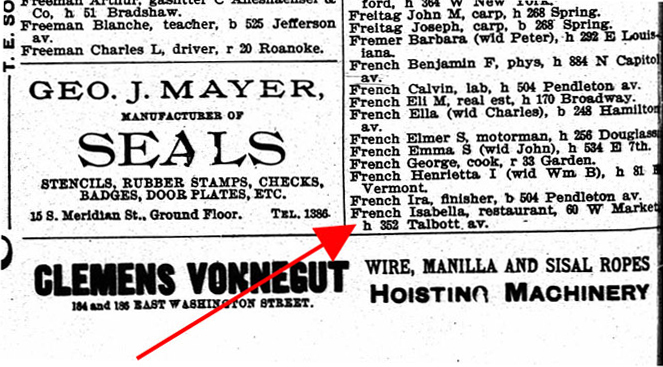 It was owned by William H. Dycus, who also owned the Oriental Cafe on North Pennsylvania Street. The Hene Apartments were vacant during the years of the rec center’s existence. In fact, no tenants were ever listed again for the second-story apartments. 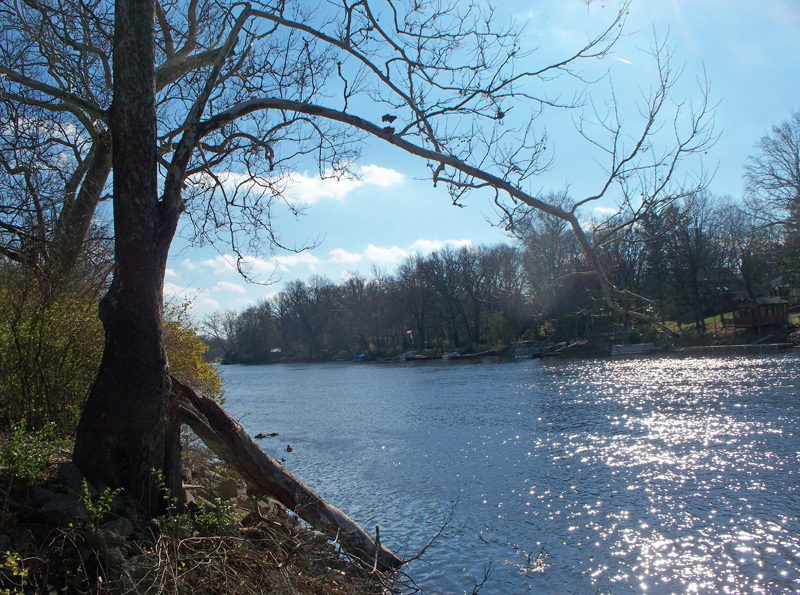 In 1975, the property was acquired by William Randolph Galvin and his wife Karen. “Randy” Galvin was the proprietor of the Black Curtain Dinner Theatre, located diagonally across the street from 122 E. 22nd Street at 2145 N. Talbot Street. 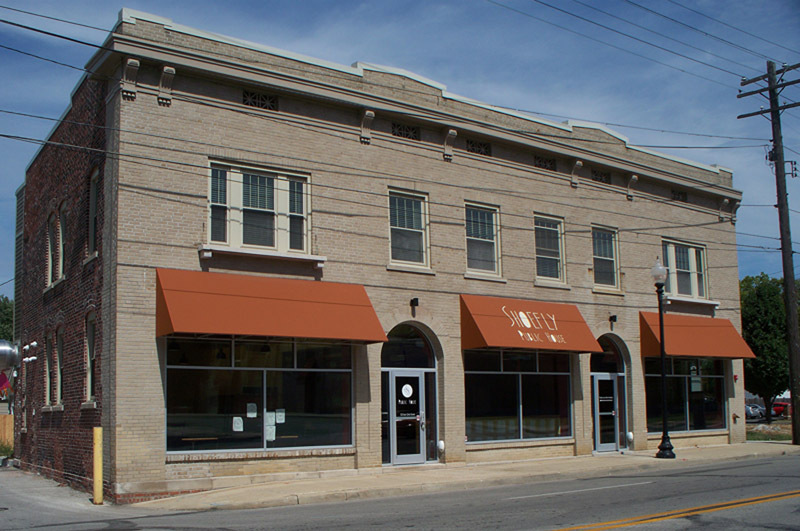 For the first few years of the Galvins’ ownership, the building was listed in city directories as being vacant. 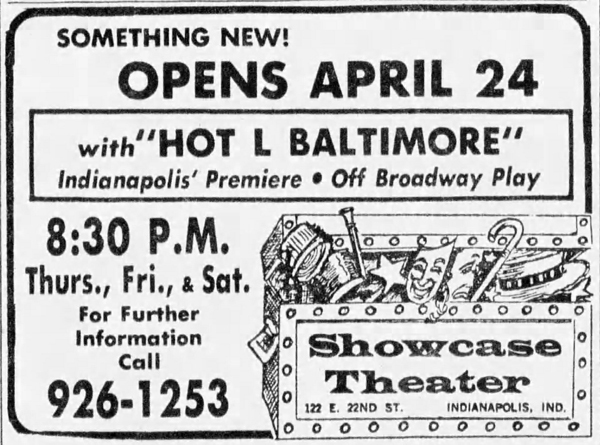 However, from 1975 to 1981, it actually housed another Galvin enterprise called the Showcase Theater. 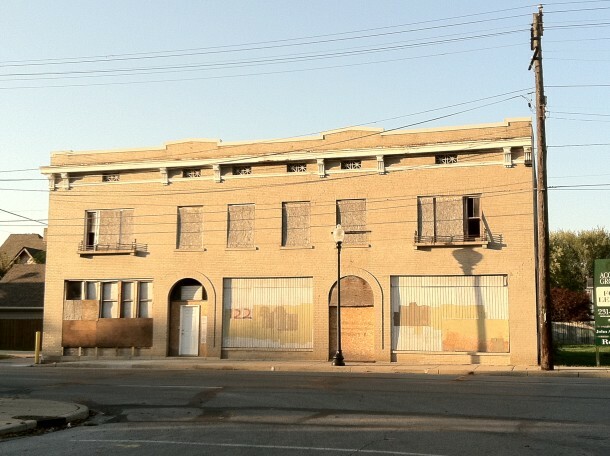 The building changed hands frequently after the Galvins sold it. 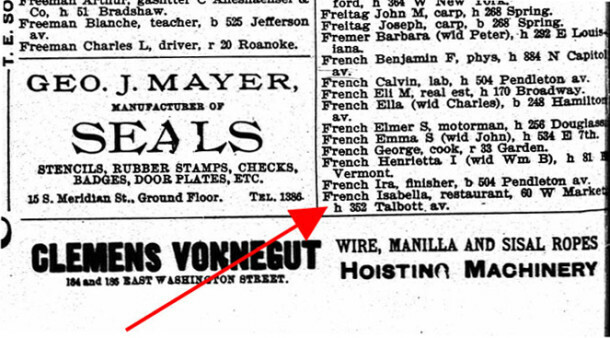 In 1982, the owner was Katherine R. Keenan. In 1987, John L. Winston took title. In 1990, it was deeded to Frank Buntin. Later in 1990, it was quit claim deeded to Ann E. Neal. From 1994 to 2007, various departments of the City of Indianapolis are shown as having been in title to the property. It was sometimes used for storage but was basically a vacant building for about twenty years. In February of 2007, Woodland Realty Company LLC took ownership of the property. 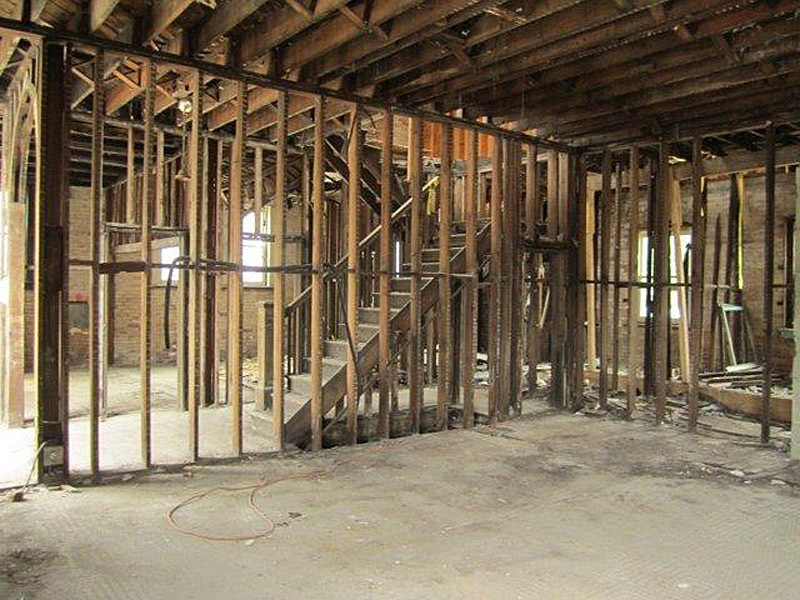 The building was gutted and lovingly reinvented. 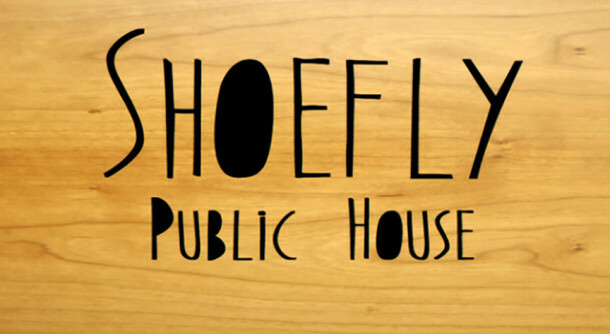 The renovated building is now the home of a brand new eatery called Shoefly Public House. The couple who are its creators realized after moving into their nearby home in Fall Creek Place that there was no gathering spot in the neighborhood for a bite to eat or a libation with friends. From that perceived need, the concept of Shoefly was hatched. The dining establishment’s offerings include pub food made from locally grown produce and locally crafted beverages, both alcoholic and nonalcoholic. Shoefly opened its doors at 11:00 a.m. on Saturday, September 28, 2013. This article and a portion of this website are generously sponsored by Axia Urban. You can visit their website here.